Gorgeous big pendant from the centre of german jewelry industry: Pforzheim. 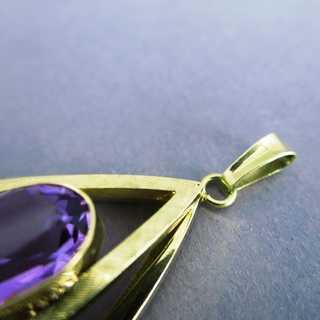 Triangle shape, heavy open worked and composed from gold bars, partly polished and partly structured. 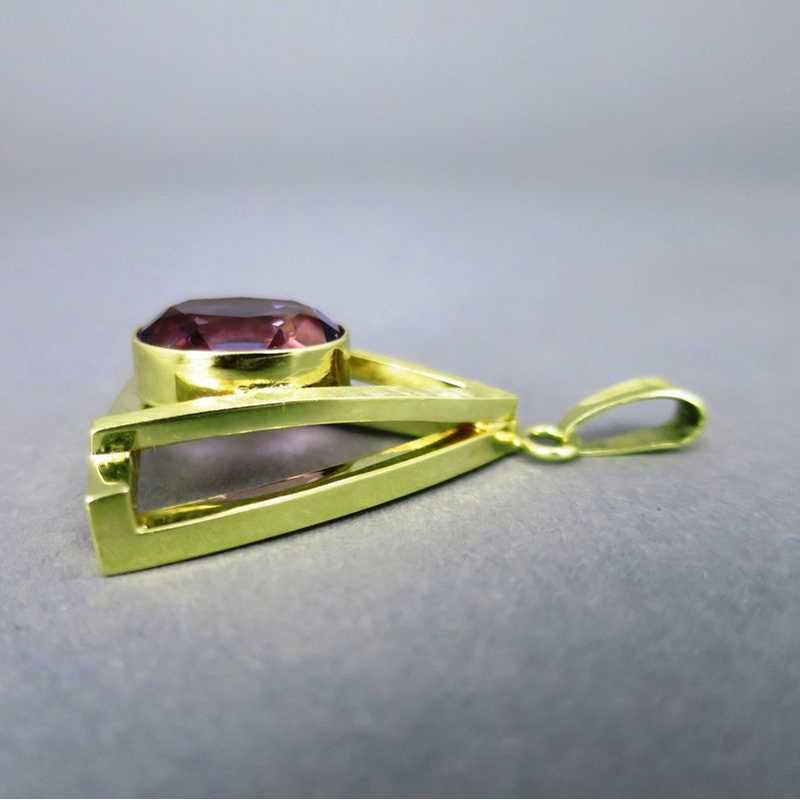 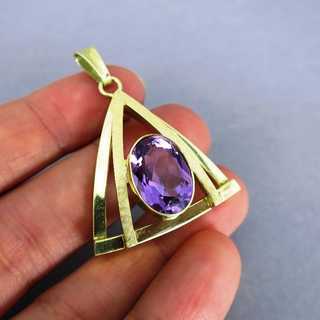 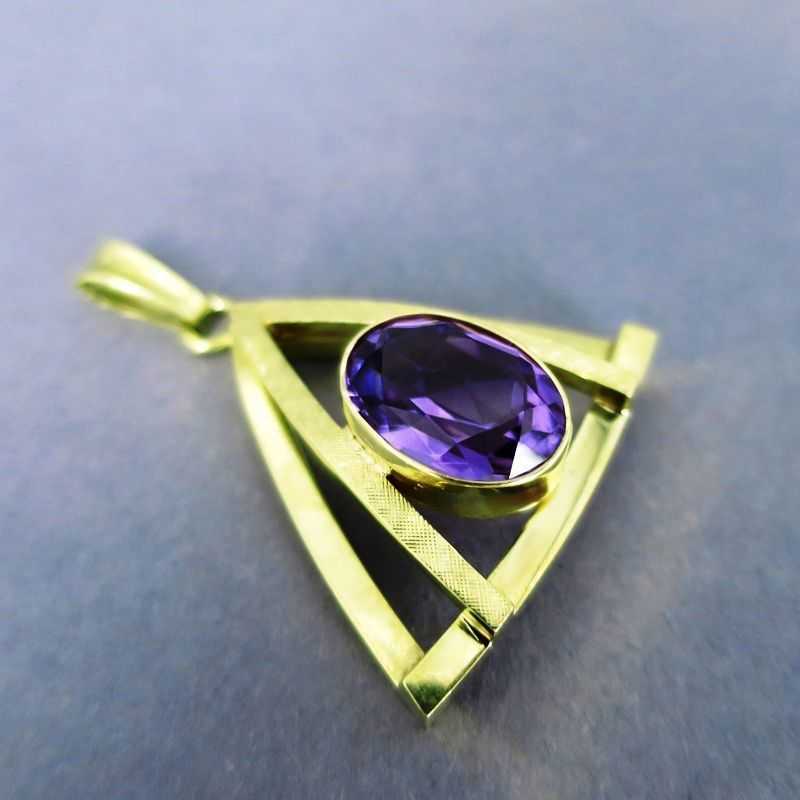 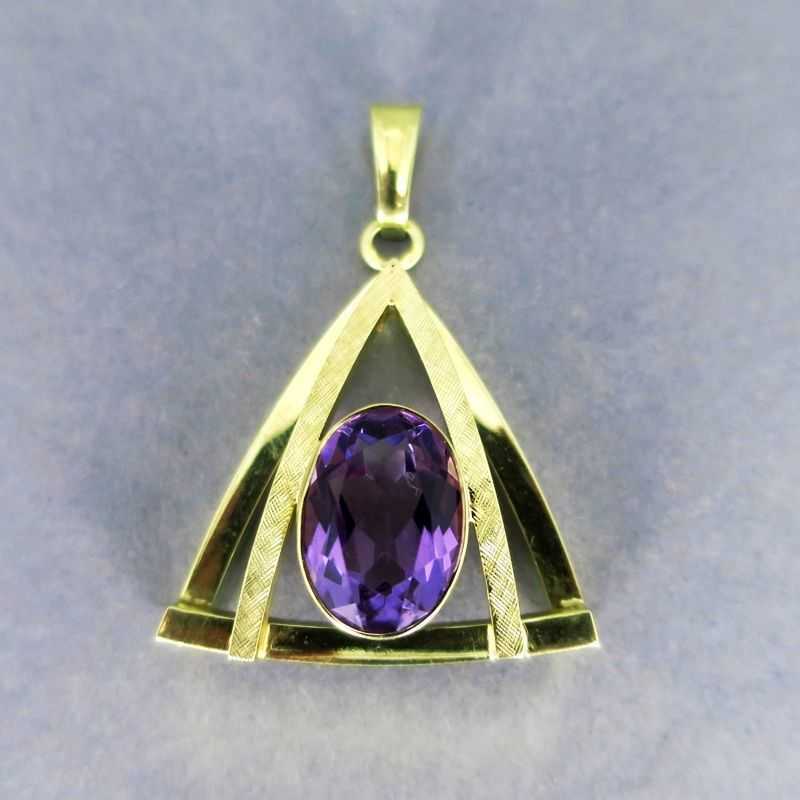 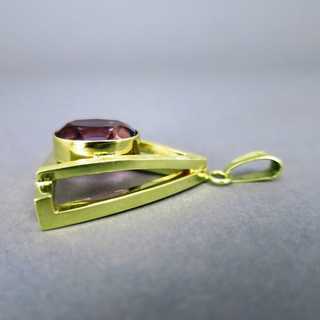 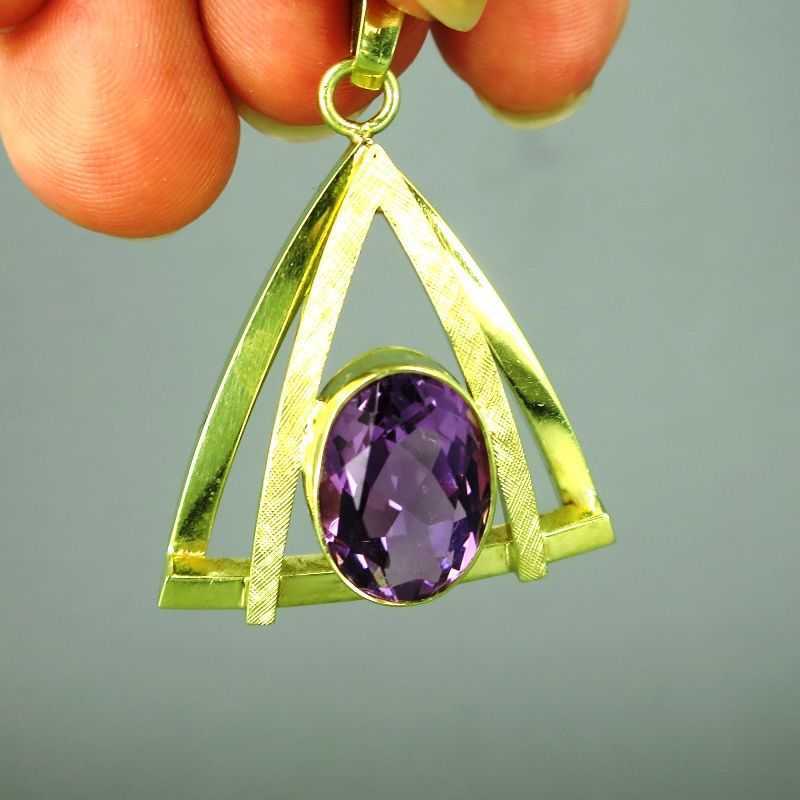 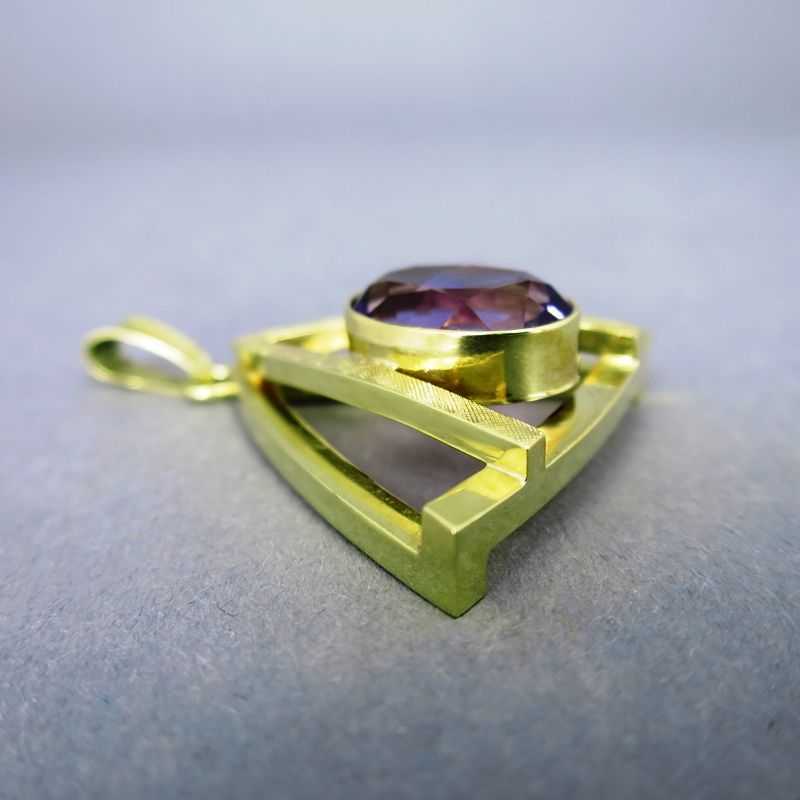 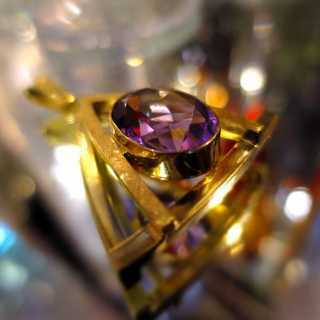 In the centre is mounted a big, oval dark violet amethyst in bezel setting. 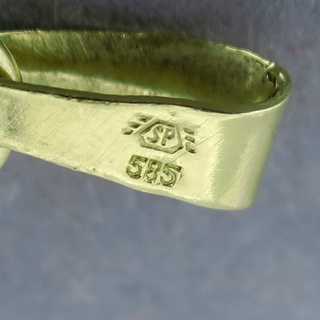 Marked, made in the famous jewelry manufactory of Friedrich Speidel in Pforzheim/Germany, about 1960.